In the present day world of pollution, dirt, and heat, the health of our hair suffers severely. Add to it the ever-increasing stress levels, and you have the perfect remedy for hair fall, early greying and dandruff! Thankfully, not anymore. 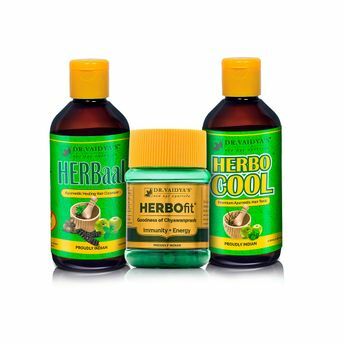 With Dr. Vaidya's Anti-Hair Fall Pack you can now rest assured of giving your hair all the care and nourishment that they need, that too in the most natural, herbal way possible. 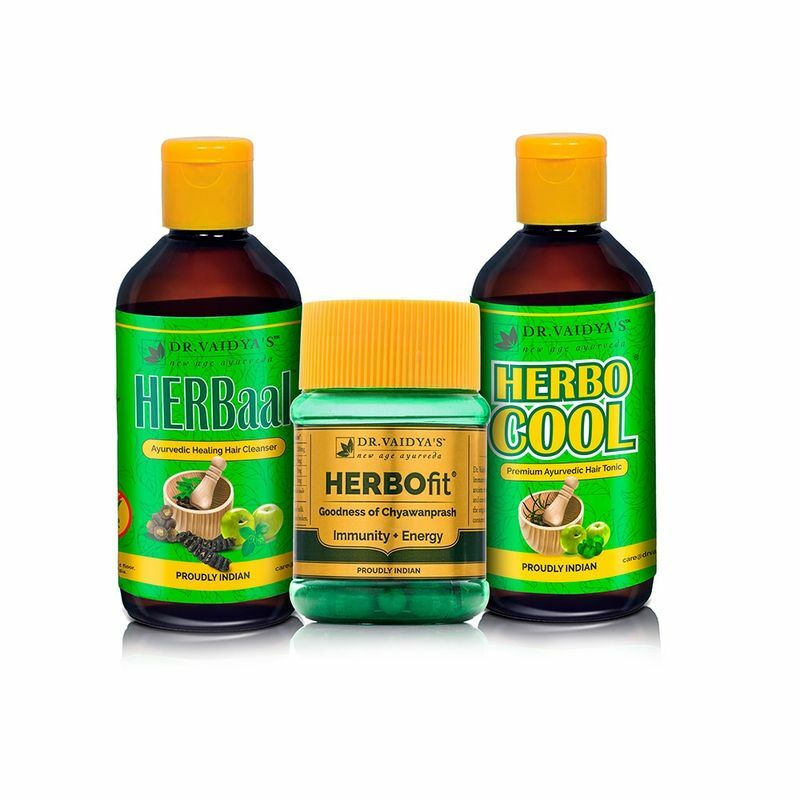 This hair fall treatment pack comprises of as many as 5 products, each of which promotes hair health in a distinct yet imperative manner. Designed to last for a month, this hair fall solution will help you step into a world of lively, voluminous hair.